As anyone who follows marijuana laws knows, things change often. To keep you up to date, here's a rundown of recent events. 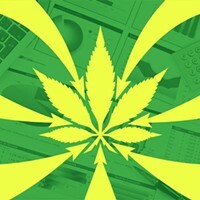 During the 2019 Oregon Legislative session, the Senate Interim Committee on Judiciary—chaired by Sen. Floyd Prozanski (D-Eugene)—proposed Legislative Concept 2151, which would make it against the law to require people who use "lawful tobacco products," like marijuana, during their non-working hours from abstaining. Senate Bill 301, which failed in 2017, generally dealt with discrimination against medical marijuana cardholders who tested positive for cannabis. In a story on Oregonlive, Prozanski said LC 2151 was a redrafted form of SB 301. The proposed bill wouldn't apply to people who have signed collective bargaining agreements that prohibit off-duty pot use, or if there's a "bona fide occupational qualification" associated with their job—nor would it permit working under the influence. As of the date of publication, LC 2151 was not yet a full bill. According to a 2018 report from the Oregon-Idaho High Intensity Drug Trafficking Area Report, Oregon's estimated annual production is about 2 million pounds of marijuana—about $6.7 billion worth of bud. The report said Oregon's annual consumption is between 186,000 and 372,000 pounds—leaving an oversupply between 265,000 and 1.8 million pounds, according to the Oregon State Police. 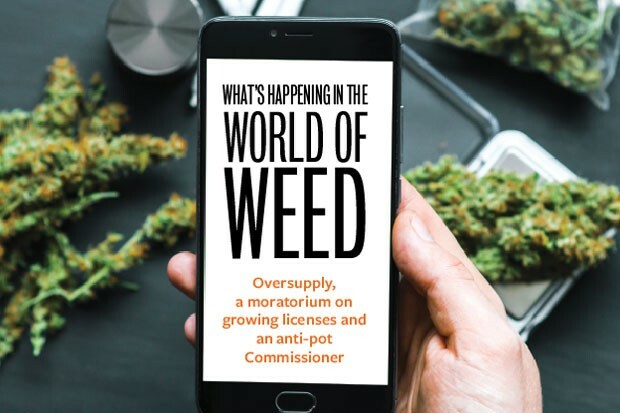 This oversupply has resulted in threats from Attorney General Ellen Rosenblum that those tasked with enforcement need to step up their game and deal with the overproduction problem before she does. It's also affecting the old adage of supply and demand, sending prices plunging—down 50 percent last year—with predictions wholesale prices will drop again in 2019. 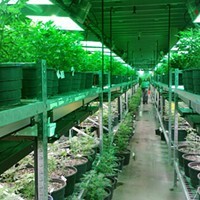 The Oregon Secretary of State's office released an audit in January that noted only 3 percent of retailers and 32 percent of growers have had a compliance inspection in the Oregon Liquor Commission's recreational marijuana program. The Oregon Health Authority, which oversees the Oregon Medical Marijuana Program, isn't faring much better. According to the audit, there are only four inspectors to handle the 14,000 OMMP grows statewide, which comes to 3,500 grows sites per inspector. With a six-and-a-half-year oversupply in the state, and cannabis being procured for as low as $300 a pound, some are tempted to take legally grown weed out of state and sell it where it's not currently legal. According to the HIDTA report, nearly 15,000 pounds, or roughly $48 million in cannabis from Oregon, was captured out of state from July 2015 to January 2018. 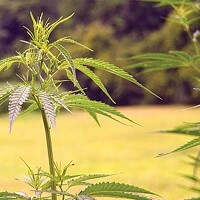 The report said most of the captured buds were headed for Midwestern states, Florida, Texas and Maryland. Between July 2017 and March 2018, cops seized over $861,000 in marijuana attempting to move through the Portland International Airport, according to the HIDTA report. The Secretary of State's audit said the OLCC could limit the number of licenses issued or make the licensing moratorium permanent. The report also said the OLCC could allow market forces to correct itself via business failures and consolidations—which is currently happening with brands going under and corporate buyouts. 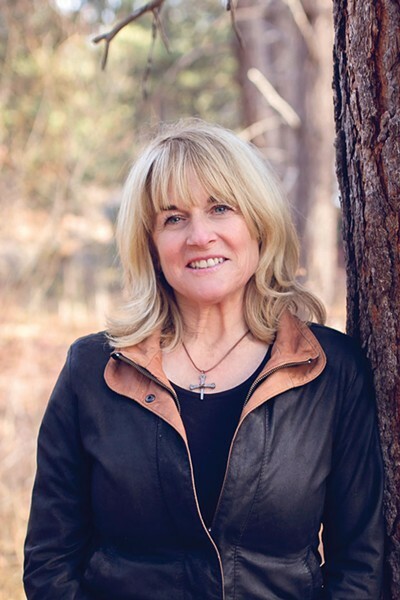 Deschutes County Commissioner Patti Adair was sworn in this past January and hasn't wasted any time blocking growing operations. According to a February story in the Source, Adair suggested on the record that a growing license applicant was untruthful about their application by claiming they planned to use 30,000 gallons of water, when they had listed a higher number on their written application. "You want people, when they're applying for a marijuana grow, to be truthful," Adair said. Adair's comments had nothing to do with Deschutes County Code, which only requires applicants to provide documentation proving that a water provider can and will serve the farm. Adair then weighed in on the applicant's ionization device, asserting that these types of odor-control devices would cause "health complications" and claimed they "aren't effective" in eliminating odor. Adair didn't verbally identify her source for the claims, which would directly contradict the licensed Oregon mechanical engineer's opinion included with the application. Adair also worked to have her neighbor's application denied in 2017 and 2018, going as far as putting a sign on the corner of her property that read, "Norma N Rick Don't Bring Marijuana crime to Goodrich." She wrote the County: "I do not understand why marijuana production was NOT limited to an industrial zone. Our rural property values will be destroyed." The previous Commission, made up of Tammy Baney, Phil Henderson and Tony DeBone, ultimately approved Adair's neighbor for their growing operation. But in Adair's first crack at listening to an applicant, she and Henderson denied another application because of the grow's proximity to a "youth activity center." Code language prohibits marijuana businesses from existing within 1,000 feet of schools, licensed day cares, and any "youth activity centers," a term not defined in the County's code. By a two-to-one vote, DeBone and Baney also previously approved an application that was within 1,000 feet of an unlicensed 4H activity center. On the more recent denial, Adair said, "In this case, the proposed grow would be near a residence where the owner's children are home-schooled, and where the parents led 'equestrian activities.'" Adair noted that children were present in photos on the equestrian center's website. Henderson attempted to define a 'youth activity center' during deliberations as "a place where youth are active, and it's centered there." The applicants argued that the ranch has no permitting, and offers training for adults as well as children. Adair and Henderson dismissed these written counter-arguments. It's not clear whether DeBone, had he been present or phoned in, would've swayed Henderson or Adair to reconsider. 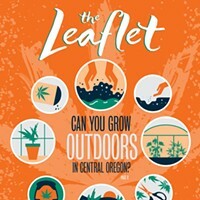 Meanwhile, on Feb. 28, the Commission filed a motion to revise the marijuana growing regulations it had amended and adopted in November 2018, after local marijuana activists contended the new rules did not comply with Oregon's Right to Farm Act, and that the new regulations were unreasonably strict. The Commission had 180 days from Feb. 28 to re-amend those rules.